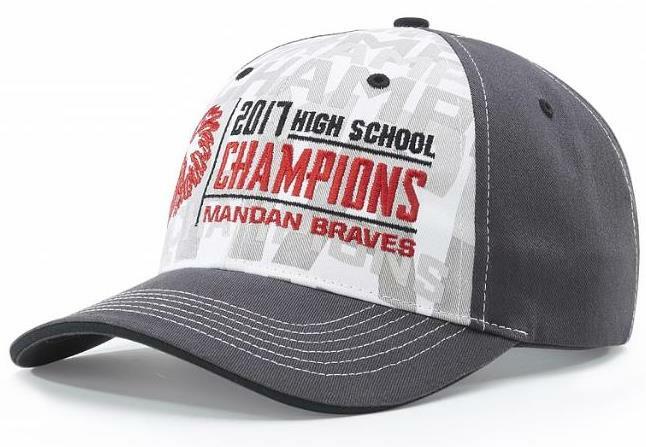 A cap made for Champions from front to back! 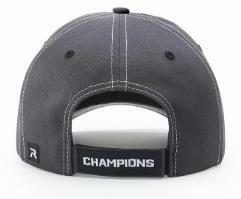 The front panels of the crown are white with "CHAMPIONS" PRINTED IN COOL GREY, and the Velcro back strap has 'CHAMPIONS" sewn on. Cotton twill keeps your team comfortable whjile all celebrate the big "W"
Champions caps can be embroidered by Richardson with a delivery of 5 weeks or decorated locally with a three week turn around. Minimum 25 Pieces. Plain stock delivery about 5 days. Use the 'Email us" link top of this page and forward your enquiry.